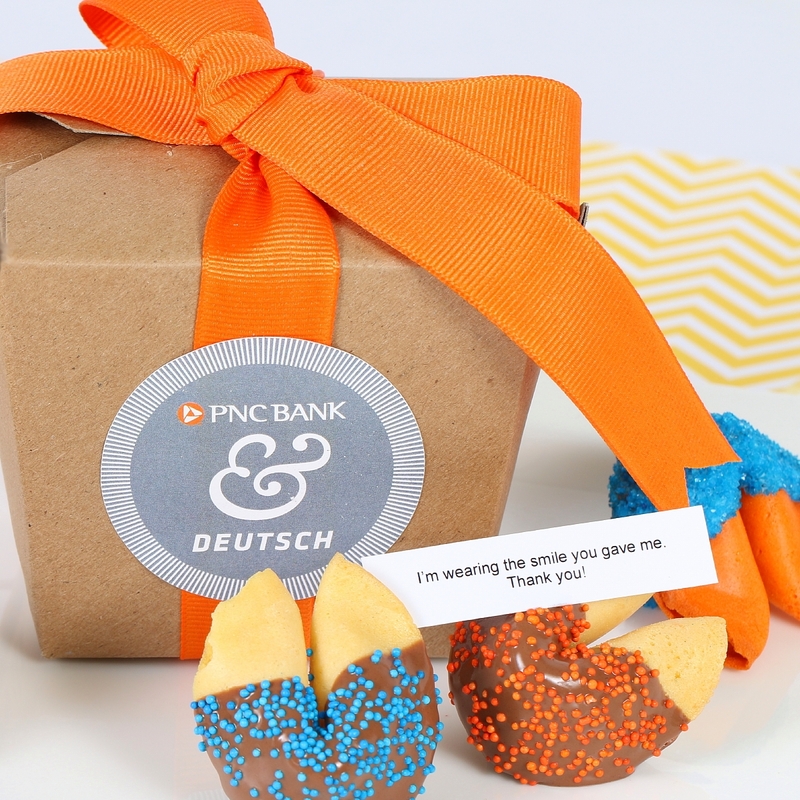 What a handsome employee thank you gift--a sturdy takeout box with your own label and filled with 4 custom baked fortune cookies. 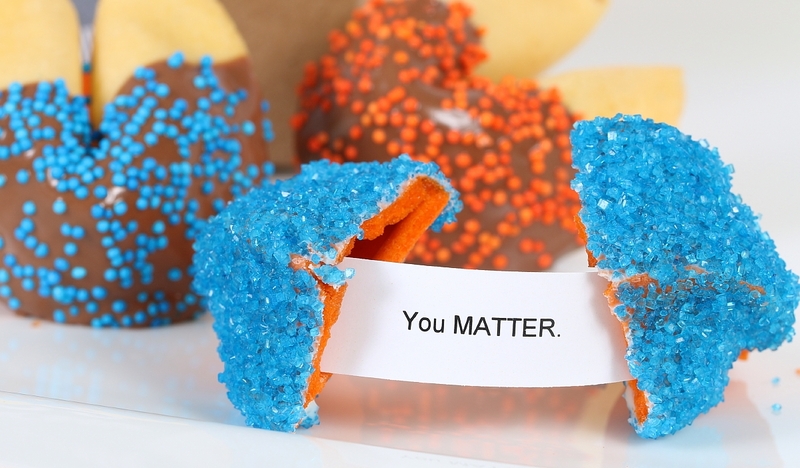 You pick the flavor, the color, the sprinkles, the chocolate dipping (dark, milk or white) and then write 5 custom fortunes. 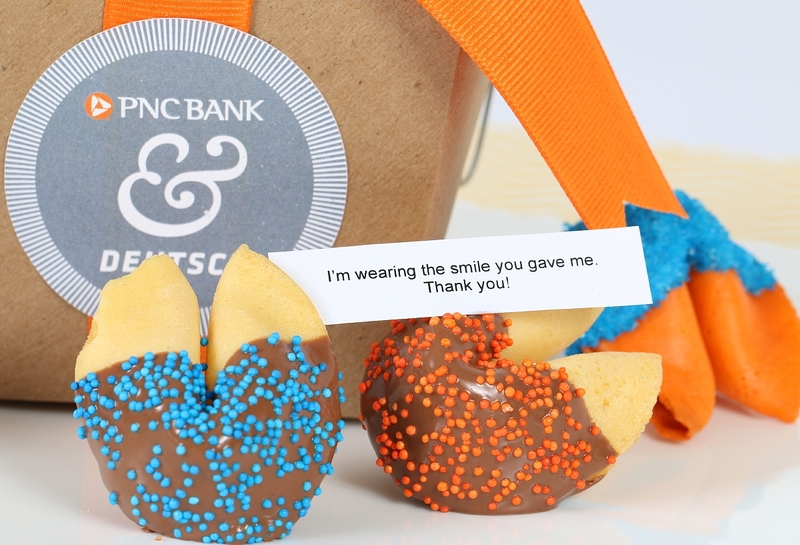 We do all the rest to create memorable Employee Appreciation gifts. 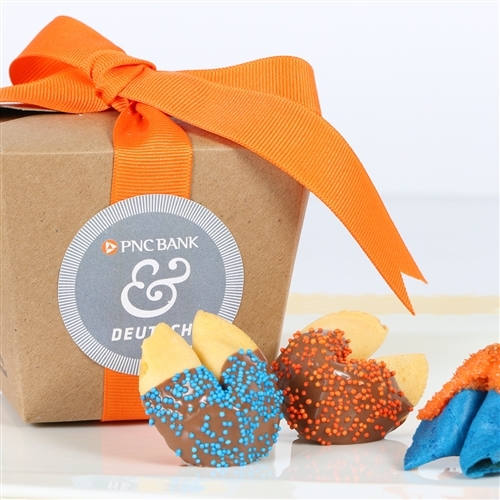 Minimum order is just 10 boxes, so EVERYONE gets fortune cookies! Custom Fortune Cookies: Ships in 3-5 Business days, or as requested. What a fun way to say thanks: a sturdy takeout box with your own label and filled with 4 custom baked fortune cookies. You pick the flavor, the color, the sprinkles, the chocolate dipping (dark, milk or white) and then write 5 custom fortunes. We do all the rest to create your gourmet Employee Appreciation gifts. Minimum order is just 10 boxes, so you can hand them out to your whole team. We're so fortunate to have people like you! Our FORTUNE is our people. We can't spell success without U! Thank you for being a valued member of our team. It's our good fortune to have an employee like you! THEY ARE FABULOUS!!!! And you even found our logo without any direction from us! So impressed.Thank you. I’ll be doing this again.